Tracie Strahan is an award–winning reporter for NBC 4 New York’s weekday newscasts "Today in New York," that airs weekdays 4:30 A.M – 7 A.M.
Strahan is host of “Positively Black” - NBC 4’s long-running Public Affairs program that won a 2014 “New York National Association of Black Journalists” award for best programming. The program highlights health and education issues, social and cultural programs and services. Strahan interviews those people who are making a difference in the African-American community. Strahan, as part of NBC 4’s continuing coverage of Hurricane Sandy, received a National Emmy and Edward R. Murrow award. Strahan, the recipient of the prestigious Newswomen Club of New York’s 2014 “Front Page” award for breaking news coverage, won a 2012 local Emmy Award for best live reporting. The November 2008 edition of "Television Week" magazine featured Strahan as one of the next generation of "Television News Stars” and the Radio Television Digital News Association’s (RTDNA) awarded her the Michele Clark Fellowship which recognizes the achievements of young, promising, minority professionals in television or radio news. 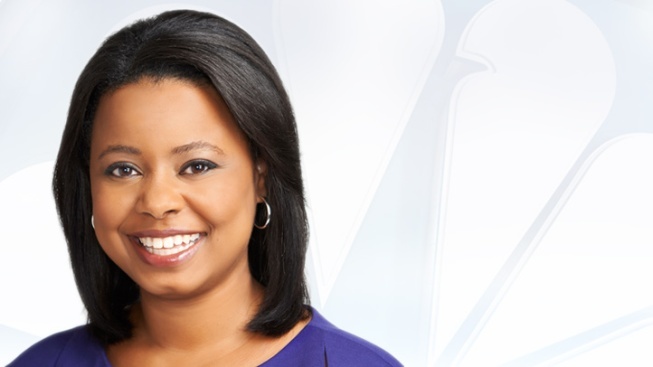 Strahan joined News 4 New York from CBS Newspath where she covered news for all CBS stations nationwide. She has worked as a news anchor for MTVU, a branch of MTV serving college campuses and was a Reporter/Producer for WNDU-TV in South Bend, Indiana. Strahan began her career in broadcasting as a news production assistant for 1010 WINS radio in New York while still in college. Strahan graduated from S.I. Newhouse School of Public Communications at Syracuse University with a degree in Broadcast Journalism. She is a member of Delta Sigma Theta Sorority, the nation’s largest African American Sorority, and is a member of the National Association of Black Journalists. Strahan, her husband and son live in New Jersey. You can follow Tracie Strahan on Facebook and Twitter.